THE Palestinian people’s struggle for freedom and national independence has reached a decisive moment. The two-state formula is under serious threat, due to systematic Israeli policies and practices that have seriously undermined the solution-threatening to make it impracticable in the very near future. 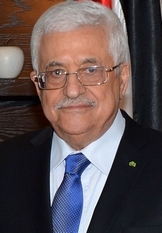 More alarmingly, while Palestine takes concrete and determined steps to demonstrate its commitment to international law and human rights by acceding to the main instruments of international law, Israel has taken concrete steps to undermine them, whilst openly and unambiguously declaring its hostility to Palestinian national rights. This is happening at the same time that Palestinian refugees are being slaughtered in Syria—victims of an internal conflict to which they have never been party. The images coming out from the Al Yarmouk Refugee Camp as well as from other Palestinian camps in Syria are reminiscent of Lebanon in 1982 and Iraq in 2003. They are a reminder of the urgency to honor the inalienable rights of the Palestinian people, including Palestinian refugee rights. Over 200 Palestinian children dying out of starvation during the camp’s siege is a crude reminder of the total failure of the international community to protect civilians in time of war. It is time to put an end to the Palestinian tragedy by ensuring the rights of Palestinians under international law.